New Moons are a time of planting seeds of desire and new beginnings. It is an opportunity for us to set new intentions for the next moon cycle and create some magic in our life. 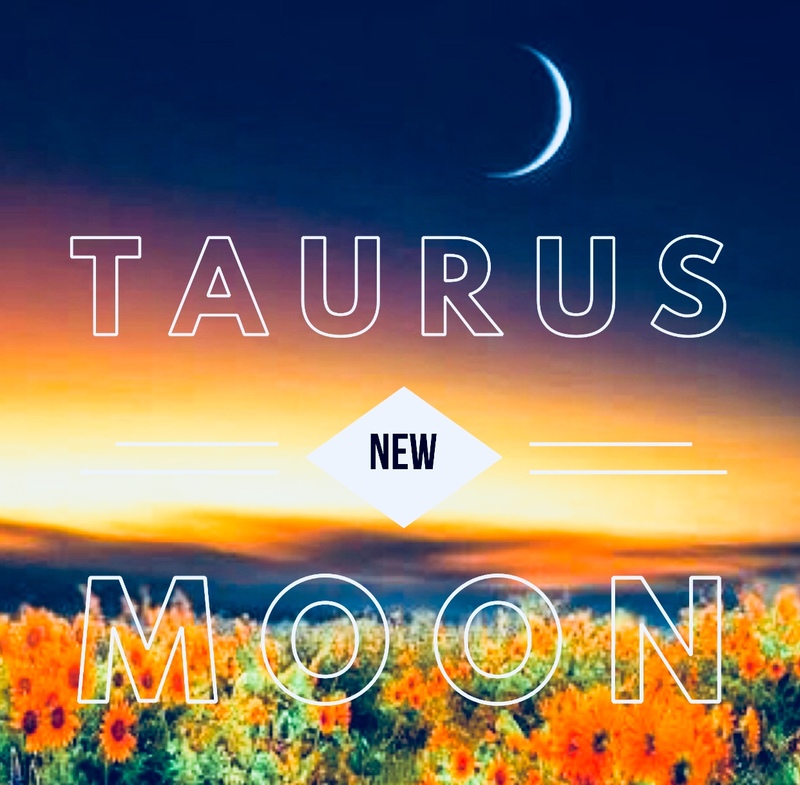 This new moon is in the astrological sign of Taurus, the bull. This means that the energy of this new moon will be very grounding. Taurus is associated with all things physical, this includes our bodies, the food we eat, the house we live in, the planet we live on and material abundance. Believe it or not, this Taurus bull loves to be surrounded by the finer, more luxurious things in life. You could find this “bull in a china shop”! With this in mind, it is a good time to beautify your home, or splurge on a new outfit. Take care to nurture your body with healthy foods, exercise and plenty of rest. Ask the angels of abundance to bless you with all you need at this time. Please shine your light on the following intentions, (list all of your new intentions). I now release these intentions to God and the angels under this beautiful new moon energy. May these intentions manifest in abundance only for my greatest and highest good.